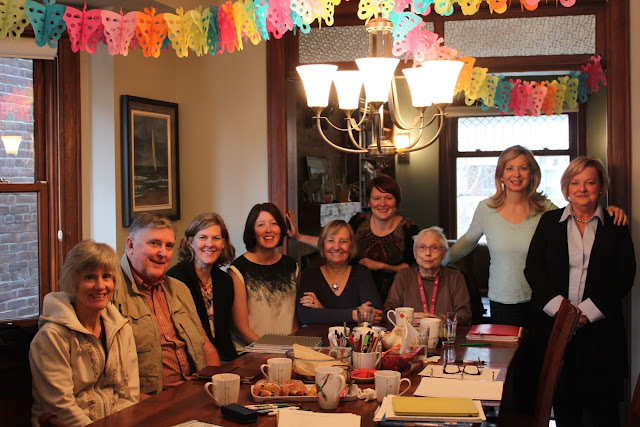 Welcome to Chez Lieve, the website for French Classes in Roncesvalles Village. Lieve teaches French conversation classes to adults from her home during the day. The group classes are taught at 4 different levels. Conversational skills are learned through discussion of current events, the arts, songs, hands on activities, along with grammar essentials and verbs taught in context. The schedule for Spring 2019 is posted, starting the second week of April 2019. There will be no classes this Winter term (January-March). Fill out the registration form online ASAP. Provide a payment for $200, dated April 2, 2019. There will be a registration coffee on April 2, 2019 at Lieve's between 10am and 2pm. You may also register online, by phone or by email as long as you provide a payment. Returning students will be given priority as long as they register and pay by April 2, 2019. After that, placement will be offered to new students for non-filled spots. Her lively and enjoyable classes have become well-known in the neighbourhood. In her classes, Lieve combines a climate of social gathering by sharing cultural news, and initiating discussions on art and current events and topics preoccupying the minds of Torontonians wanting to learn French. All homework is optional. Coffee, tea and chocolates are served around the dining room table Chez Lieve. Copyright © 2011, Lieve De Nil. All rights reserved | Website Design: Amanda Thebe. Simple theme. Powered by Blogger.